What’s your definition of a perfect bed? To me it’s a cozy, comfortable space that lets me sink in, between the sheets, and drift into a deep, nourishing sleep. A great bed is one of the reasons we like a good hotel stay. 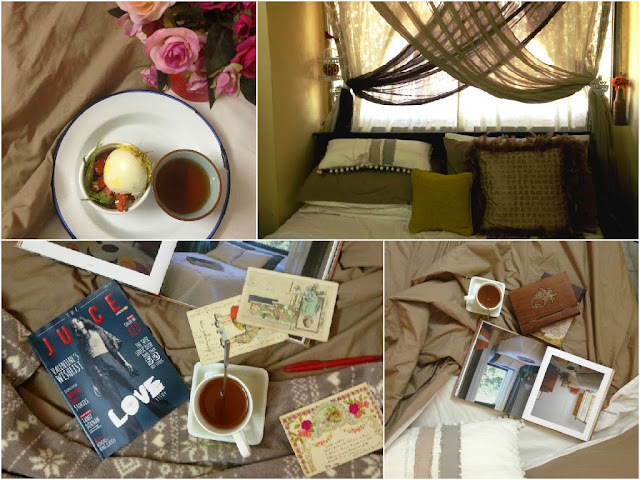 We all seek to create that private and intimate sanctuary that is so hard to say “Goodbye” to every morning. Truth be told, the perfect bed is easier to achieve than most of us believe. Over the years, I have accumulated a few bed making tricks of my own. In my bedroom, form and function come together with the sole purpose of creating a wonderful little nook of serenity and comfort. 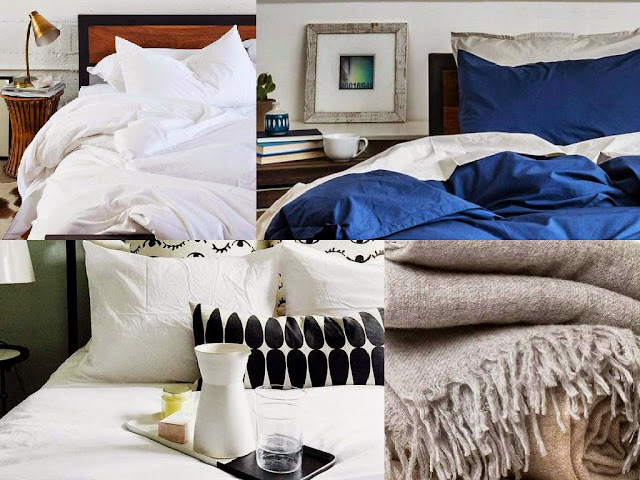 Here are some of my must-know tips to make your bed the ultimate fortress of comfort. We all know about that “pillows excess” phase. I remember removing some six pillows every night and putting them on the floor before going to bed. What a waste of time! Now my pillows are the ones we actually use every night. I have the pillows that squish perfectly, and some that have the right amount of fluff. Invest in memory foam pillows for keeping those achy, stiff necks at bay. Many hotels now offer “Pillow Menus”, and it’s a great idea to take home a cue from them. Buckwheat hulls, Japanese igusa grass pillows, rubber pillows... Dreamy! Thread counts are the new fad term. But they are not as important as the fabric itself. Cotton and Polyester blends are popular for non-wrinkling. Opt for 100% cotton sheets and pillow covers instead. Better still, go for linen. It’s expensive, yes, but you can’t be wearing flip flops and expect to be treated like Louboutins! I love the way linen crinkles up so elegantly, and looks so perfect even with the wrinkles and all. For those allergic to dust mites, hypoallergenic bedding is a great investment. You can’t really sleep like a baby with a blocked nose! Instead of a top sheet, I like to stuff a comforter inside a duvet cover, and let it do the double shift of a top sheet as well. It adds to the overall fluffy and inviting look of the bed, and by eliminating the top sheet, I am able to make my bed a lot faster in the morning! Bedroom lights are a constant source of strife in my household! My husband likes white light (yikes), while I am a sucker for mellow-ambient light. Bedroom light can vary from basic, bold, dimmed to dramatic. It’s all for you to decide what works best for you. A soft, bedside lamp, good enough for some night time reading is my take on bedroom lights. Make sure you keep the size of your bedroom in mind when deciding upon the lighting. Softer, shaded fixtures at the right height can add that lovely glow to your bedroom which only the best hotel rooms and interior magazine layouts seem to possess. I also use tiny string lights for added ambience. The colour of the bedding, to me, is an integral factor in creating the right sleep-worthiness in a bedroom. I like to keep it light and neutral, with a pop of bold colours. Studies have shown that people who sleep in bedrooms done in calm colours, such as blue, yellow or green, tend to sleep better. Colour can help you make the bed dark, moody and sensual, or peppy, bright and cheerful. So choose wisely! I like to keep the space beyond my bed clutter-free too. It helps create an overall comforting space, where I can lounge and relax, and even enjoy an occasional breakfast in bed. So, are you ready yet to makeover your bedroom? I keep browsing the web for sites with some awesome products and inspirations. My current obsession is the luxury bedding from Parachute Home, with their lovely linen sheets, shams and the most beautiful Down Duvets! Their luxury bedding seems to be the stuff sweet dreams are made of! Browse through for some more bed inspiration, or general bedroom lusting! Beautiful bed!!! LOVVVe the drapes too! So chic and cozy!